Dear guests, it’s our pleasure to welcome you to “The Mountain’s Magic Boarding House”! The most recent appearance between the agro-tourist services providers in the Arieseni-Vartop area, “The Mountain’s Magic Boarding House” may offer you a wide range of tourist services in a pleasant and comfortable environment, as it is proved by the four daisies on it’s front wall. Arieseni is one of the most preffered holiday destinations in the Apuseni Mountains area, good for relaxing as much in winter as in summer. Visitors may find here many ways to spend their free time in pleasant and diverse ways, from winter sports (skiing, sledging, snowboarding) to hiking or climbing. The tourist’s routes are very many, but before you start to follow one, you’d better ask a proffesional guide. 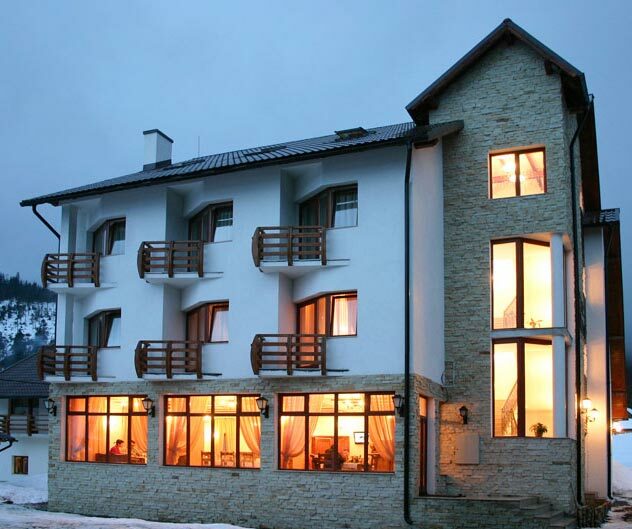 Our boarding house is situated in Arieseni village, at 1,6 kilometers from the Vartop ski slope. You can reach us coming by car from Oradea, Alba-Iulia or Cluj-Napoca, using a map.